EDIT: Giveaway is officially over! 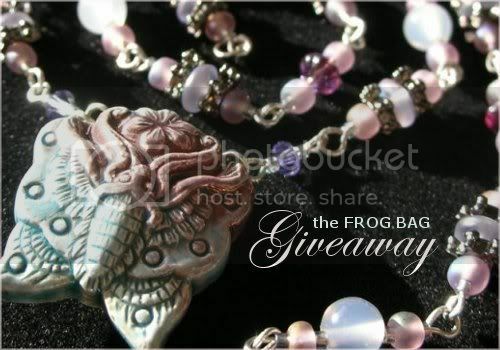 Congratulations to the randomly chosen 152nd commenter, Shari D.
You're going to leap for this handmade prize - Corinna of the Frog Bag is giving away a whimsical necklace that will cause a flutter, in moonlight or sunlight. The moth pendant is made of ceramic. The chain measures about 20 inches long, shines with beads of glass and metal and closes with a silver-plated lobster claw clasp. Corinna is a long time crafter with a zoology degree. Her Etsy shop is crawling with unique jewelry, cat toys, and needle craft, many of them animal-themed. She even donates 20% of her sales to The Tapir Preservation Fund, a charity which supports the conservation of tapirs and their rainforest habitat. Giveaway is open worldwide. I will be pulling a number from my random.org top hat after 11:59pm EST on March 31, 2011, and the corresponding commenter will win! Corinna will contact that lucky soul for a mailing address. If she doesn't hear back from the winner within 3 days, a new number will be drawn. Mandatory Entry: Hop over to the the Frog Bag shop then comment on this post with your favorite item and a way to contact you, preferably an email or Etsy shop. 1. Follow @thefrogbag and @aquariann on twitter. Following us both counts for two entries, as long as you leave a separate comment for each with your own username. 3. Like the the Frog Bag and aquariann Art pages on facebook. Liking both counts for two entries, as long as you leave a separate comment for each. 4. Follow the Frog Bag blog on Google Friend Connect or Networked Blogs for one entry. Follow my blog on Google Friend Connect, Networked Blogs or your favorite RSS reader for another entry. 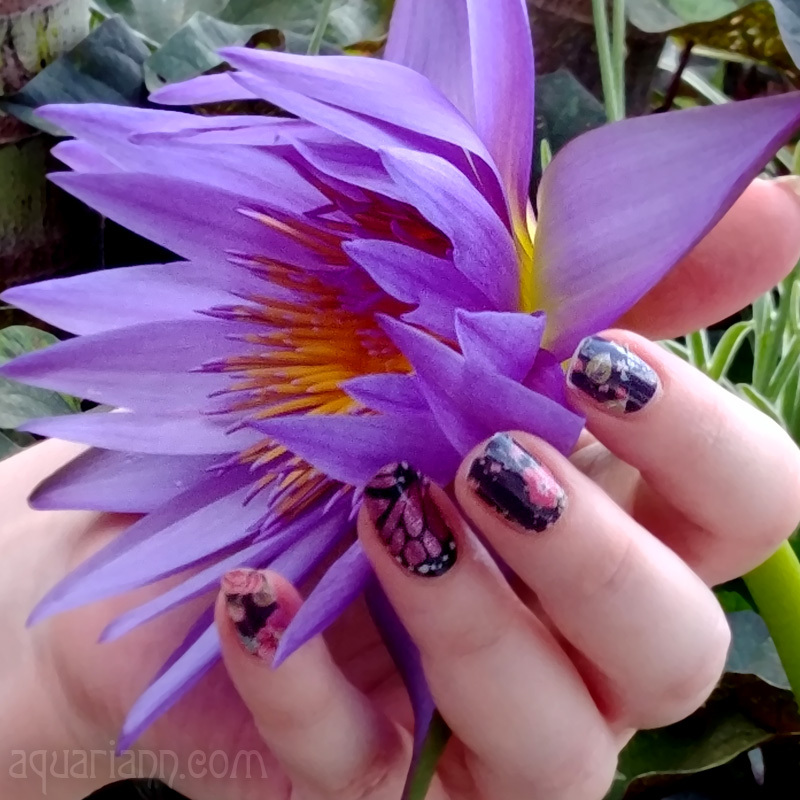 Please convo aquariann.etsy.com if you'd like to sponsor a handmade giveaway. Hostess gifts are wildly appreciated, but not required. I adore this bracelet http://www.etsy.com/listing/29758793/roses-and-lucite-bracelet ! Following your blog on GFC! Liked you on Facebook (Birgit Lehner)! I follow both on Twitter as @LauraSanMur and on Facebook: Laura Sánchez Murillo. I follow the the Frog Bag blog too as Gondor Tari. My favorite thing was Yellow Alligator Upcycled Moo Card Box . Cute! Cute! Cute! I like the Yellow Tentacle Pin Cushion! I absolutely love the skull and alabaster necklace! It is my fave I totally want the matching set bracelet & necklace! The frogs are awesome - they would be my second pick! Voted on Picket Fence blogs!!! YAY!!!!! My favorite item is the Roses and Lucite Earrings! I love the meow and purr word balloon cat toys! A zoology degree! In my next life :) Love the pin cushion! Like The Frog Bag on Facebook. Following The Frog Bag on GFC. 1. Follow @thefrogbag and @aquariann on twitter. I love the Crimson and Chartreuse Bracelet. I like the Elegant Bracelet. I followed Corinna Bechko @thefrogbag in twitter. I followed aquariann @aquariann in twitter. I Like the the Frog Bag Art pages on facebook. 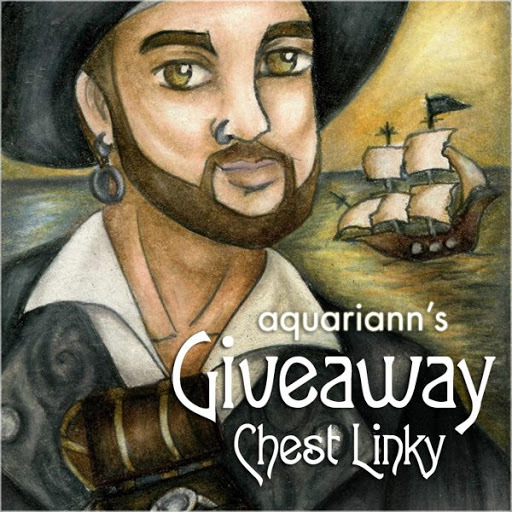 I like aquariann art page on facebook. i love Meow Word Balloon Cat Toy! i follow the thefrogbag on twitter as filmofilka. i follow the aquariann on twitter as filmofilka. i like The Frog Bag on fb. i like aquariann on fb. My favorite item is Yellow Alligator Upcycled Moo Card Box. I like the Emeralds and Concrete Beaded Necklace. I love the Meow Word Balloon Cat Toy. Just Voted for you Aquariann on Picket Fences! I love the Prothonotary Warbler Pin Cushion. I have just voted for aquariann! She has so many different things..wow! I love the Brittle Star Embroidered Thread Painting. The flowers and leaves silver bracelet is beautiful. Love the Bashful Chimpanzee Necklace. This is a GREAT giveaway! :D I actually found you via the Moira Rodgers Kindle Giveaway--thanks for having this link so visible on your blog!